Since 1980, the United Nations world tourism organization has celebrated world tourism day as international observances on the 27th September. This date was chosen as on that day in 1970,the statuses of the UNWTD were adopted. The adoption of these statuses is considered a milestone in global tourism. 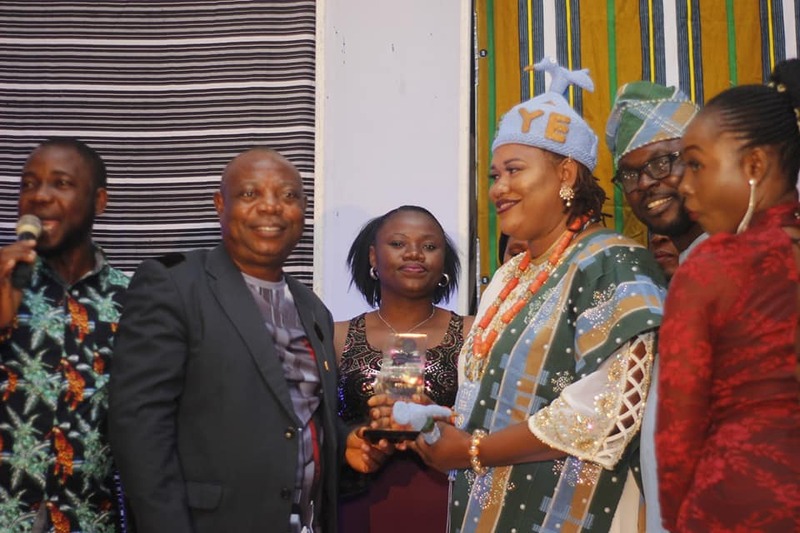 Kogi State,Nigeria was not left out of the celebration as Sunjay global entertainment in collaboration with Kogi State ministry of culture and tourism hosted this year’s Miss Tourism (Kogi) and the presentation of Awards to deserving Personalities that had contributed immensely to the growth of culture and tourism. 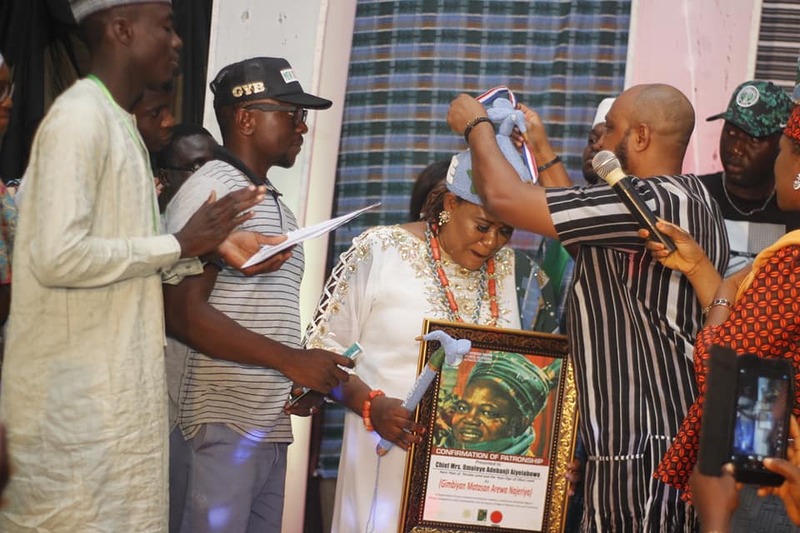 Aare yeye Omoleye Adebanji Aiyelabowo was honored with an Award of excellence in recognition of her contributions to the development of culture, tourism and traditions in Kogi state. While presenting the award, the special adviser to Kogi State governor on culture and tourism Hon. 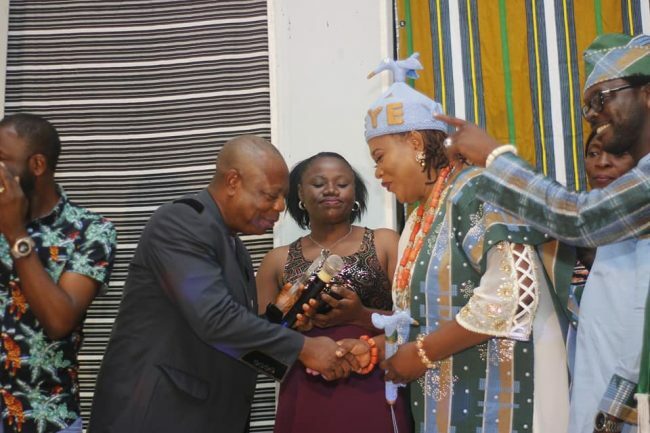 Prince Lewis Asubiojo commended her for selfishness and the zeal in achieving her set goals. The executive Governor of Kogi State, Alhaji Yahaya Bello who was ably represented at the event by his mobile commissioner for culture and tourism Hon. Arome Adoji, he spoke on the tourism potential avalible in Kogi state and also called on foreign investors to take advantage in the new direction government. 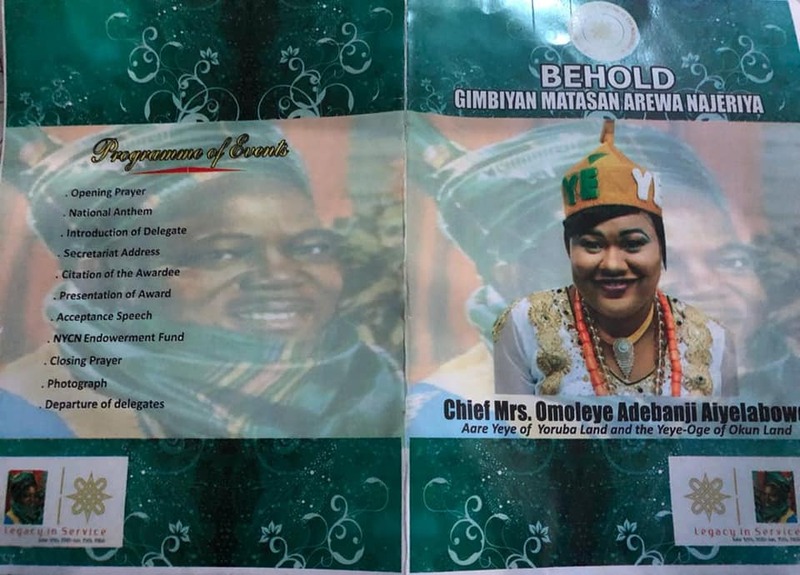 The event got to the climax as the Northern Youth Council of Nigeria confirmed Aare yeye Omoleye Adebanji Aiyelabowo their patron and also decorated her as GIMBIYAN MATASAN AREWA NAJERIYA in appreciation of her immense contributions towards a united one indivisible Nigeria,being a vanguard to youth emancipation and also serving as a bridge of national unity and consensus. Aare yeye Omoleye Adebanji Aiyelabowo appreciated the honors bestowed on her and she concluded that the awards will spur her to do more. She commended Chief Tony Eseyin for putting up the event and also prayed for the Northern Youth Council of Nigeria. Dignatries at the event are the senior special assistant to Kogi State governor on transport (Hon. Shauibu Ojo) on students affairs (Hon. Joshua Omonu) on Sports (Hon. Segun Olobatoke) and on youth (Hon. Aiyelabowo Adebanji Austin), beauty queens and shakers of the entertainment world.